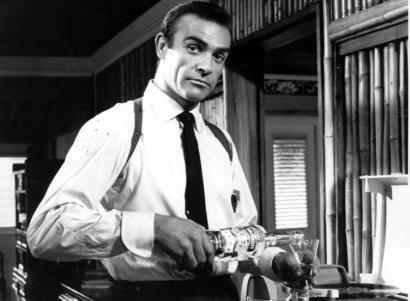 Loving Wine Doesn’t Make Me Debonair–Does It? I arrive at the DASWI conference (Discuss and Argue Silly Wine Information) where a buxom brunette named Vinifera Galore meets me at the check-in table. She’s been waiting just for me. She hands me a glass of wine and with demure smile says, “Your reputation precedes you, Mr. Barber. Care for a Savigny les Beaune?”I look her in the eye and with a charming grin I coyly reply, “As long as it’s not a ’92.” My entourage of brown-nosers and wannabees politely laugh because the joke is actually on the ’92 vintage, which everyone knows was rather dreadful, really. “Splendid! 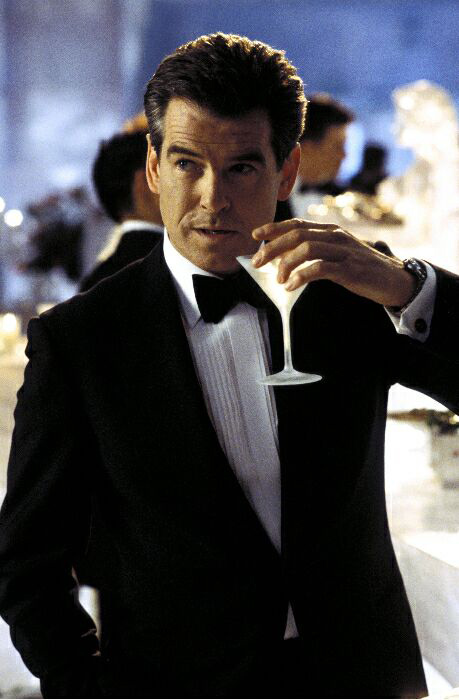 Splendid, old chap!” they say as they gather around me in their blazers, silk scarves, and turtle-necks. I straiten my ascot, begin speaking, and they hang on my every word. I know all the wines, vintages, regions, and facts and I spew them liberally. Some passersby believe I’m speaking in tongues. Before long I’m pontificating obscure wine minutia with a passion that some astronomers reserve for arguing that yes, Pluto really is still a planet, damn it. If the above paragraphs appeal to you, you’re reading the wrong column. The true story is that I’m more likely to attend the IJAWA conference (I Just Appreciate Wine’s Awesomeness) while wearing an ABGB T-shirt (Anyone But Green Bay). The judging method I use is very simple. There’s one needle and it’s located front and center over the wow-factor gauge in my head. The wine that sends that needle highest wins. Does that mean I don’t taste and appreciate the hints of forest floor, the nuance of baked leather, or the subtle tones of moldy walrus hide? No, actually I do–but obsessing on it only gets in the way of discussing more important topics like why the Goddesses of India have so many arms or what on Earth the first person to ever milk a cow was thinking. I love wine. But for me, once it becomes a matter of trying to outwine someone else, I bale quicker than when I had my blind date with Rosie O’Donnell. This week’s recommendation comes from Washington. Corvidae Lenore 2008, Columbia Valley Syrah ($11.99): I’m tempted to soliloquize about how drinking Lenore is like drinking liquid, silky, dry hay. Or espouse its light tannins and balance of pepper with fruit, etc. All of this would be true but I just won’t let that get in the way of appreciating its total awesomeness. Although many wines are made to drink right off the shelf, most benefit from a couple years of careful storage. When I first heard this I decided to try it for myself. I scurried down to the local store, picked up a cheap bottle of white, and set it on top of the refrigerator so that in two years or so, I could take it down and impress a hot date with the heavenly elixir it would certainly become. The day finally arrived and I poured a glass for the lucky girl. Without knowing it, however, I committed every mistake possible for storing wine and after two years the bottle turned to rancid vinegar. After the first sip, my date’s mouth began to twitch and her jaw silently worked as if she were chewing gum. She tried to speak but no words came; I was reminded of a poorly dubbed 60’s era Kung Fu movie. There was no second date. The experience could have been different had I only known a few key points about wine storage. First, forget whites. Some will age but trying to store many whites is like drafting the chess champion to play linebacker. Most don’t have the structure for the job. Instead, look for reds like Cabernet, Merlot, Syrah, and even Zinfandel. Second, store the bottle on its side and in the dark. This part is easy. Find the right spot then walk away and forget it. Third, keep your bottle away from vibrations. Refrigerators, generators, or even your roommate’s awesome stereo speakers are enough to affect the aging process of wine. These vibrations may be subtle, but to a bottle of wine, it’s like being attached to one of those machines that tests the suspension on cars. Fourth, keep your wine in a cool place where the temperature is constant. Think of your wine as a high maintenance girlfriend. If the temperature gets too high or too low, she’ll get sour. Below are a couple recommendations that will benefit from two to four years of proper storage. 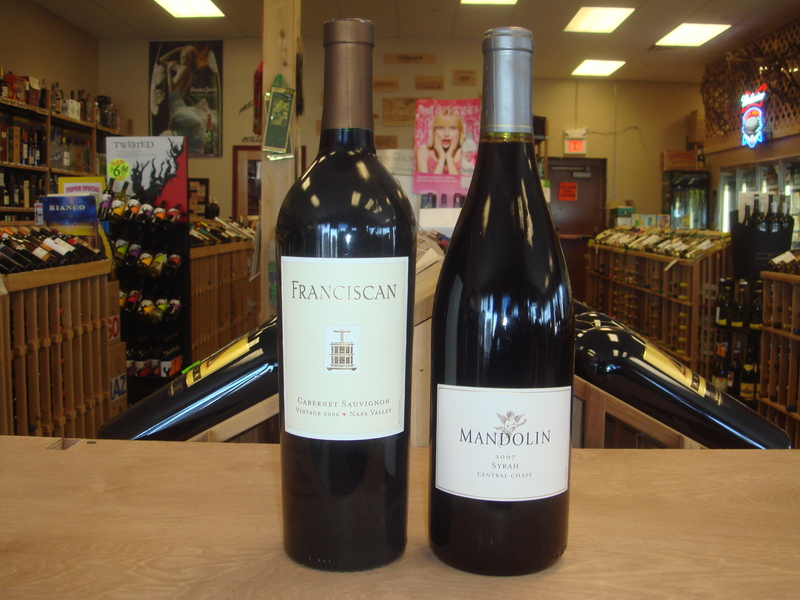 Franciscan 2006, Cabernet Sauvignon ($23.99): Cabernets are one of the ultimate candidates for aging. Flavors of cherries, black currant, and cedar will be fuller and rounder in a few years. Mandolin 2007, Syrah ($11.99): This wine is loaded with blueberry and black pepper. Aging will mellow the strong tannins and improve the overall balance. You are currently browsing the archives for the Syrah category.